When I got back from my trip, I decided to whip up a homemade recipe for dinner. I ate out enough in San Jose, and I was ready for a homecooked meal. After a quick trip to the grocery store, I was ready to create! I picked an easy recipe I found on KraftFoods.com. 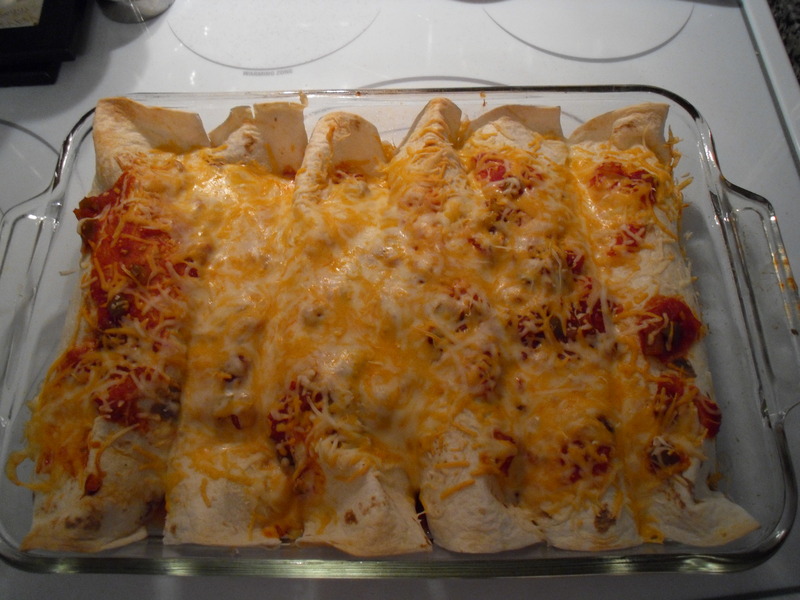 Beef enchiladas is a recipe I have started making … and PoppaNut seems to love it too. I’ve included the recipe you can try it at home too! SPREAD 1/4 cup of the remaining salsa onto bottom of 13×9-inch baking dish. Brush dressing lightly over both sides of tortillas. Stack 4 tortillas; wrap in waxed paper. Microwave on HIGH 20 sec. or just until warmed. Spoon 1/3 cup meat mixture down center of each tortilla; roll up. Place, seam-sides down, over salsa in dish. Repeat. Top with remaining salsa; cover. BAKE 20 min. or until heated through. Top with remaining cheese. Bake, uncovered, 2 to 3 min. or until melted. Top with cilantro. And that’s life in a nutshell … find an easy recipe that will make you a star in the kitchen and make it for the one you love.